Our diverse board of directors is composed of business leaders, conservationists, scientists and educators, and is representative of the Laguna’s broad appeal to Sonoma County’s many cultural and economic communities. Our strategic approach is collaborative, building a “big tent” embracing private landowners and public agencies to jointly solve problems and improve management of the Laguna’s natural resources. Our directorship, accordingly, reflects a wide range of perspectives and interests, but shares the common goal of improving the health and functioning of the Laguna. 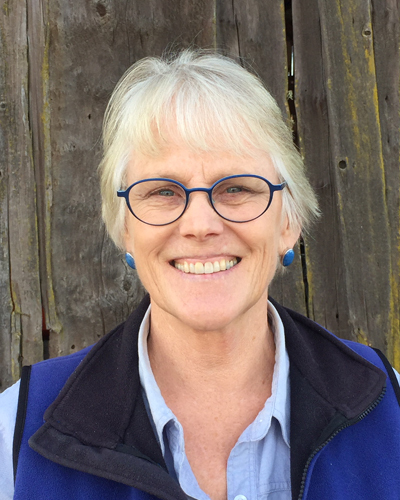 Carolyn Johnson has rejoined the Laguna de Santa Rosa Foundation Board of Directors, having previously served from 1998 to 2006. She brings fundraising, organizational and leadership experience after serving ten years on the board of Point Blue Conservation Science (formerly PRBO Conservation Science), including three years as Board Chair. She is a co-founder of the Leadership Institute for Ecology and the Economy; President of Fledgling Fund, a philanthropic family foundation. Carolyn holds an Interdisciplinary MA from SSU in wetland restoration and preservation and land use policy, a BA from The Evergreen State College. Janine Barnes moved to Sebastopol in 1983. Since then, she has experienced and enjoyed the many positive changes in the Laguna. While raising her two daughters, she became aware of the Laguna Foundation when her daughters participated in the Foundations sponsored field trips to the Laguna in their fifth and sixth grade classes. Janine currently works for Boyle & Stoll CPAs specializing in non-profit audits and tax. John Weinstein, his wife Heidi Stewart, and their two children moved to Sebastopol in 1997 from Oakland to enjoy the beauty of Sonoma County and a rural lifestyle. Having lived in an urban environment for all his life, he arrived to Sonoma County not knowing the difference between a watershed and a woodshed, but has over the course of time come to understand and appreciate the vital role the Laguna de Santa Rosa plays in creating and preserving the splendor that brought him here initially. As a member of the Laguna Finance Committee for two years, John is familiar with the Foundation’s finances. As the CEO of a retail financial services company since 1984, he brings practical business knowledge and experience to the Board. Inspired by our beautiful wetland and the mission of the Foundation, he is thankful to be able to contribute to its guardianship as a member of the Board. Suzanne Knecht and her husband Jerry moved to Sebastopol in 2010, after 27 years in San Anselmo, in a process of reinvention, but mostly to be closer to their grandchildren. Suzanne discovered the Laguna as a great area to walk her dog and soon became captive to its beauty. Suzanne holds a BA in History from Connecticut College and has supplemented her formal education with art studies at the College of Marin. Before indulging her passion for art, she was a qualified retirement plan consultant in San Francisco designing programs to meet company objectives within the legal framework of ERISA and the Internal Revenue Code. She has been a docent with the Bayshore Studies program in Tiburon, a Board member of the Environmental Forum of Marin, and directed fundraising efforts for The Friends of the San Anselmo Library. Suzanne and her husband are also sailors and both attained a lifelong goal completing a 30,000-mile voyage around the world in their 42' sailboat, about which Suzanne wrote a book. As a sailor, she feels a special kinship with water, the basis for her interest in working with the Laguna Foundation. The move to Sebastopol marks a departure from the sea in favor of their new life as farmers. Linda Fraley was raised in Santa Rosa after spending her first year of life in Berkeley where her parents met and married and her second on a sheep ranch near Valley Ford. She graduated from UC Berkeley with a BA in Zoology in 1972 and from UC San Francisco with an MD. Her career as a pediatrician was spent in Fresno. She was an adjunct faculty member of UCSF while overseeing resident physicians. The majority of her time was spent in private practice. During that time she developed knowledge of human resources and practice management. She has served as a member of the Board of Trustees for Valley Children's Hospital since 2011. 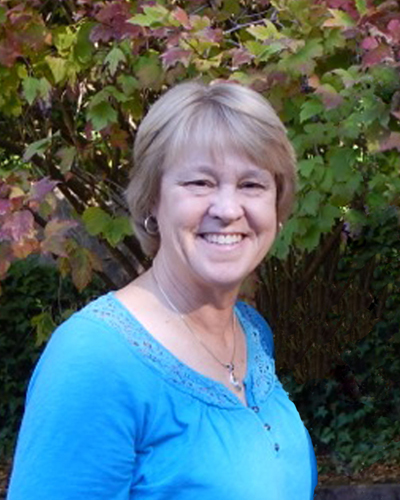 Her love of Sonoma County brought her home again in 2014 where she has enjoyed both Laguna Guide and Docent training. She is delighted to be at home amongst friends, family and the oaks of the Laguna watershed. Richard Peterson-Jones earned his undergraduate degree from Harvard University and his law degree from Stanford Law School. He is married to a Santa Rosa native, and now lives in Santa Rosa after 34 years in Marin County. They have five children. Prior to his retirement in 2014, he practiced over thirty years as lead attorney for a major company in a variety of matters and large, complex transactions, many involving creating and implementing projects costing over one billion dollars each. He handled a wide range of issues relevant to the Laguna Foundation’s work, including environmental laws, permitting, contracting, strategic and project planning, human resources and employee benefits. He volunteers for the Laguna Foundation as a Learning Laguna Docent, providing legal services, and participating in various events. He has also served as a volunteer for the San Francisco Food Bank and the Salvation Army. He enjoys hiking, biking, backpacking, contra dancing, and tennis. 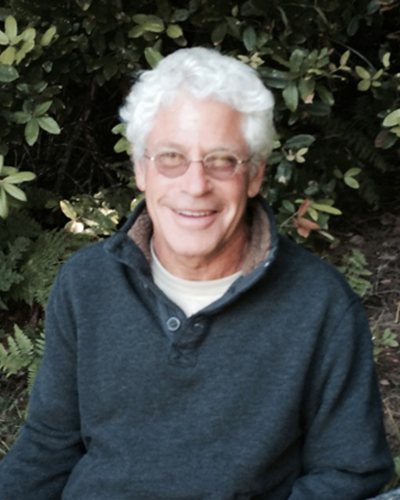 Dr. Robert Rubin holds a Ph.D. in physiological ecology from UC Irvine. He has served as program developer for the National Science Foundation Office of Public Understanding of Sciences, and the U.S. Depart. of Energy Office of University Programs. 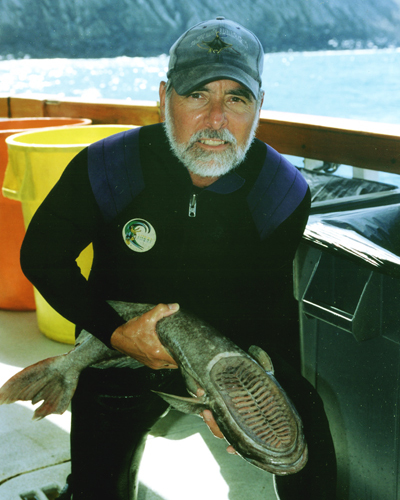 Presently, he is on the scientific advisory boards of the Save Our Seas Foundation, The Sea Watch Foundation, and The Manta Trust; and is the Director of the Pacific Manta Research Group. As a marine biologist he conducts field research on Manta rays and pelagic marine communities in the sub-tropical Mexican Pacific. This work has resulted in educational documentaries produced by The Discovery Channel, Animal Planet, National Geographic, and the BBC. As a member of the biology faculty at the SRJC, he served as Chairman of the Life Sciences Department, President of the Academic Senate, and on the Board of Directors of the College Foundation. Additionally, he originated and sought funding for the Faculty Fund for Advanced Studies and the Student Internship Scholarship at The Pepperwood Preserve. 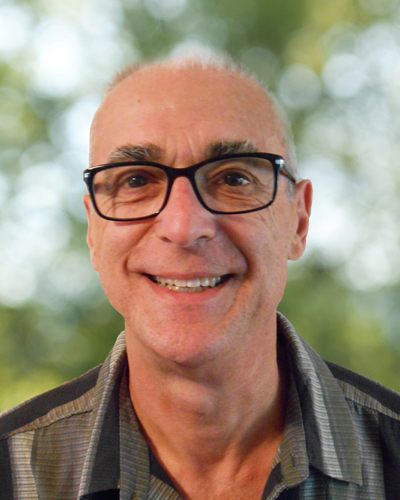 Dr. Rubin has been acknowledged for Teaching Excellence by the State of California, the SRJC, The University of California, and the Congress of the United States. In 1996, the Carnegie Foundation for the Advancement of Teaching selected him as the California College and University Professor of the year. Dr. Dianne Smith holds a Ph.D. in Anthropology from UC Riverside, she is an experienced field ethnographer and the recipient of numerous academic teaching awards as well as research grants from the National Science Foundation and the Wenner-Gren Foundation. Her 35 year teaching career includes UC Riverside, CSU Los Angeles, SRJC, and the Osher Life Long Learning Program at SSU and Dominican University. She has completed three years of fieldwork in the Colombian Andes, oral history work in Tarpum Bay, Eleuthera (Bahamas), and shorter field projects in India, Nepal, Thailand, and Indonesia. At SRJC she served as Academic Senate President, three terms as an academic Department Chair, and drafted or revised Policies for the full District over many years. She was a key leader in establishing the SRJC Environmental and Global Studies requirements for the AA degree, a first in the community college system. Her non-profit experience includes serving two terms as President of Congregation Shomrei Torah, chairing a multi-year capital campaign, and chairing the Building Committee for the new Bennett Valley Road Synagogue property and facility. Her love of hiking, bird watching, wildlife, and environmental studies shapes her personal desire to share her varied organizational and educational skills at the Laguna Foundation. Raini Sugg and her husband Steve Vallarino have lived in Sebastopol since 1977 and raised two daughters. Raini has a background in education with degrees from SF State University and SSU. 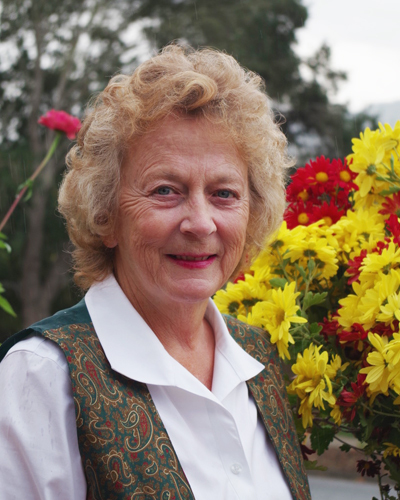 She became a Laguna Docent in 1999, the Foundation’s first year of operating an all volunteer educational program. She was instrumental in developing the Learning Laguna school program by creating curriculum, interfacing with teachers and training docents. She served on the Sebastopol Community Cultural Center board of directors for eight years, two terms as president. As an avid birder and advocate for the environment, she has spent the last 17 years increasing the public’s awareness of the beauty and importance of the Laguna. 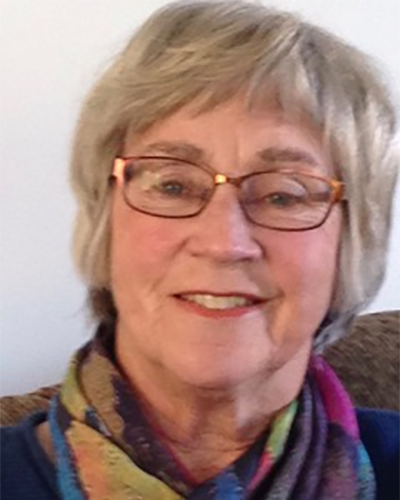 Raini previously served as the Board President from 2014-2016 and 2018.